Earlier this month, the NYC Department of Transportation opened their new public space in Downtown Jamaica, join us for the kick off on June 1st, with events, games, and activities. Then, on Tuesday, June 12th from 12noon to 2pm, have lunch with us at the Parsons Blvd. 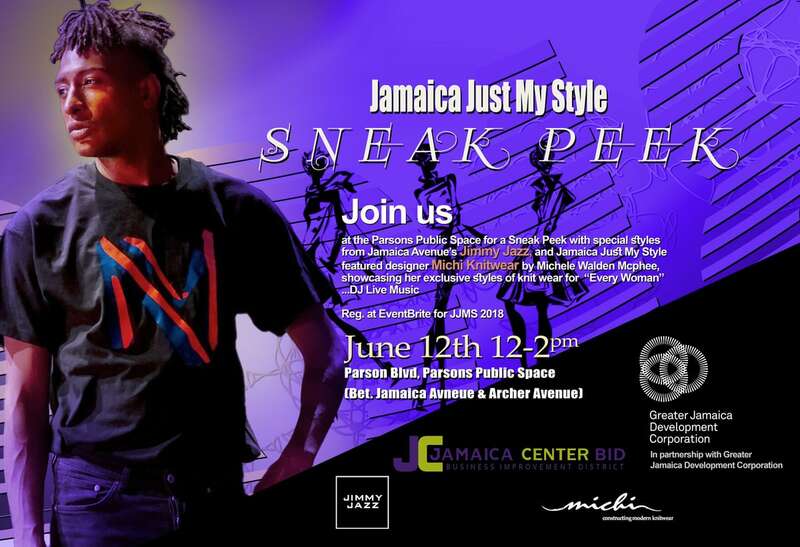 Public Space, and get a “Sneak Peek” of the BID’s JJMS…”Jamaica Just My Style” Fashion Event, showcasing trends from Jamaica Avenue’s Jimmy Jazz Official top brands, and JJMS featured Designer, Michi Knitwear by Michele Mcphee of Queens, NY.